Sanford Flower Shop, Inc. has provided quality service since 1956. Owned and operated by Frank & Charlotte Donahoe, until his death in 1983, it was then passed on to their children Tim Donahoe, A.I.F.D, and Kit Whigham. 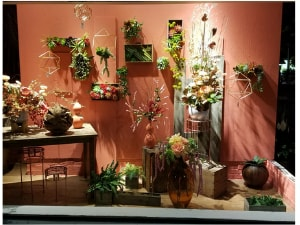 Keeping up with the newest trends and flower processing techniques, they have been able to continue to provide the freshest product, designed creatively and delivered promptly. The creative team also consists of Design Manager, Jayne Myers, A.I.F.D. We carry a full line of Gourmet items, plush animals, balloons, cards and specialty vases. Full wedding service. We also offer floral/art design classes, perfect for parties and girl's night out!